Article: Could land‐based early photosynthesizing ecosystems have bioengineered the planet in mid‐Palaeozoic times? The Ordovician and Silurian periods were times of major geological activity as regards palaeogeography, volcanism and climate change, the last of these evidenced by a series of cooling episodes and glaciations that climaxed in the Hirnantian (Late Ordovician). The presence of cryptospores in the Darriwilian (Middle Ordovician) marked the advent of higher plants on land. A critical survey of direct (mega‐ and microfossils) and some indirect evidence in succeeding rocks indicates the presence of algae, Bacteria, Cyanobacteria, Fungi, probable lichens, cryptophytes and basal tracheophytes. Similar associations of photosynthesizers and decomposers occur today in cryptogamic covers (CCs), for example biological crusts, except that bryophytes replace cryptophytes (basal embryophytes) and tracheophytes are absent. Thus, extant CCs, which make significant contributions today to global carbon and nitrogen fixation and prevention of erosion, provide an excellent analogue for the impacts of early land vegetation on both lithosphere and atmosphere. As a prerequisite to assessing impacts in Ordovician–Silurian times, with particular consideration of parameters used by climate modellers, the effects of a number of abiotic factors on the growth and survival of extant cryptogamic ground covers and their environmental impacts are reviewed. Factors include photosynthetically active radiation, ultraviolet radiation, temperature, water, oxygen, carbon dioxide, nitrogen, phosphorus, iron, surface roughness and albedo. A survey of the nature and extent of weathering facilitated by such vegetation concludes that it was limited based on depth of weathering when compared with that from rooted tracheophytes today, with minor effects on carbon dioxide drawdown. 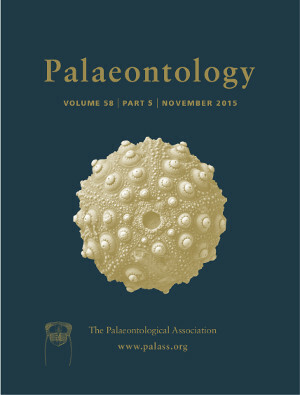 As global net productivity from Ordovician–Silurian CCs was very probably lower than today, and while the small fraction of intractable material in their organic carbon would have resulted in a more rapid turnover of terrestrial biomass, we conclude that there was decreased possibility of long‐term organic carbon burial. Hence, there would have been very limited increase in atmospheric oxygen and decrease in carbon dioxide resulting from carbon burial.